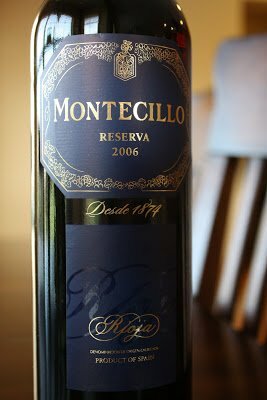 2006 Bodegas Montecillo Reserva, SRP of $18, but available for $14-$15. Sample received courtesy Folsom PR for review purposes. “Founded in 1874, Bodegas Montecillo is one of the oldest wineries in the Rioja region. Our winemakers select the finest Tempranillo grapes to create Montecillo Reserva. Aged for 18 months in handcrafted oak barrels, it is further bottle-aged prior to release. 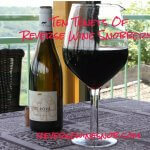 A full-bodied wine, round and fruity with flavors of liquorice and fruits. Food friendly, especially good with stews, grilled vegetables and meats. Serve at 64°F. Today we continue on our exploration of the Bodegas Montecillo Tempranillo line while trying to come to grips with the effects of aging. Next up is the 2006 Bodegas Montecillo Reserva. In order to meet the Rioja qualifications to be labeled a Reserva the wine must have a total of three years of aging, one of which needs to be in oak casks, so this wine meets those guidelines easily having been aged 18 months in oak and several years in the bottle. 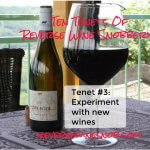 The Crianza which we reviewed yesterday saw less time in oak and in the bottle. 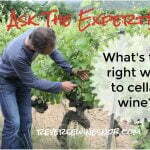 So how does this wine compare? The 2006 Bodegas Montecillo Reserva has aromas of blackberry, plum, and vanilla. The wine tastes of blackberry and plum and compared to the Crianza shows more fruit and loses a bit of the earthiness that wine had. The Reserva also has some tobacco notes just like the Crianza. The finish is also similar: spice and sour cherry with good length. The oak is more apparent on the Reserva (maybe a tad too apparent). The bottomline? The Reserva is smoother and has more fruit than the Crianza, but might show a bit too much oak. The Reserva also has more structure and depth to it. Overall a step up from theCrianza, just as it is marketed. Both wines are recommended and receive a Buy rating. Up next we’ll find out if the Bodegas Monticello Gran Reserva can live up to its name!